Your first time being arrested can be a scary experience. Whether you were arrested because of a misunderstanding or because of an impulsive act, the entire process is stressful, rushed and confusing. Since law enforcement in Texas is well known for cracking down on crime, it is important to contact an experienced criminal defense lawyer to defend you. If you been arrested and charged with your first offense in Harris County, Montgomery County, Fort Bend County, Waller County, Brazoria County or any of the surrounding areas, you should not go to court alone. Call an experienced Houston criminal defense attorney who will protect your legal rights and use your first time circumstances to mitigate the possible consequences in your case. The lawyers at James G. Sullivan and Associates have thousands of case successes, and they review each case on a personalized, result-oriented basis to determine the best approach for you. They will work hard to achieve a favorable result for you. Call James G. Sullivan and Associates at (281) 546-6428 for a free phone consultation for your first time offender case in Houston, Hempstead, The Woodlands, Conroe, Cypress, Spring, Humble, Katy, Channelview, Pasadena, Sugar Land, Richmond, Pearland, Angleton, or the surrounding areas today. Texas prosecutors take all of these crimes very seriously, however Harris County has several different programs available to first time offenders. An experienced Houston criminal attorney can guide you through the defense process, apply the best legal defense or suggest the appropriate program for your case. Apply for Pre-Trial Diversion with the prosecution with or without the filing of criminal charges. Programs, Services and Specialty Courts – these are designed to provide education, counseling and other services instead of or along with community supervision (probation) and jail time. Your defense lawyer can negotiate with the prosecutor on securing these options. Fight the case at a jury trial or a suppression hearing if the facts and law support a good defense. Plea bargaining – if all other options fail, a dedicated criminal defense attorney can usually use your status as a first offender and improbability to become a repeat offender to make a case for deferred adjudication or probation in exchange for a plea of guilty or no contest. Once you complete the terms of your negotiated deal, you may be eligible to have your record expunged or sealed (non-disclosed to the public). This process is usually not automatic, so consult your attorney about the specific method for your case. DWI Pre-Trial Intervention Program – if you are a first time offender charged with a Class B DWI or BWI, you may be eligible for this 12-month voluntary supervision program available through the Harris County District Attorney’s Office. If you successfully complete the program, your DWI case will be dismissed, you will avoid paying DPS surcharges and you can apply for an expunction 2 years after dismissal. Retail Theft Pre-Trial Intervention Program – if you are a first time shoplifter (retail theft offender), this 90-day program offers the opportunity to get your case dismissed. If you are accepted, you will be required to pay a $130 fee, take an anti-theft class and stay out of trouble during those three months. If successful, you can then seek an expunction of your criminal case. Misdemeanor Marijuana Diversion Program (MMDP) – this is a pre-charge diversion program offered by the Harris County District Attorney’s Office to offenders who would otherwise be arrested and charged with possession of misdemeanor marijuana, regardless of criminal history. If eligible and accepted into the program, you must pay a $150 program fee and complete a 4-hour “Cognitive Decision Making” class within 90 days. If successful, your record will remain clear of any arrest or charge for the offense. Prostitution Prevention Program – this program, known as called SAFE Court (Survivors Acquiring Freedom and Empowerment), targets young adults age 17-25 who are first time offenders, although some repeat prostitution offenders in that age group will also be eligible. Their goal is to provide these young people life skills needed to transition out of the prostitution lifestyle and to become a contributing member of society. Misdemeanor Veterans’ Court – this specialty court program provides veterans who are honorably discharged from their military service, with treatment, and intense court supervision in lieu of a conviction and jail time. Defendants who qualify for the program are provided treatment and counseling for 6 months or more. Upon successful completion of the program, participants will be eligible for an expunction of their Class B or A misdemeanor offense. Felony Mental Health Court (FMHC) – this is a voluntary specialty court program. If an offender meets the program requirements and is accepted, he receive pre-trial intervention, deferred adjudication or probation. He must be willing to undergo a clinical evaluation and agree to follow an individualized Re-Entry Plan. Individualized incentives and sanctions are applied in order to encourage following the Re-Entry Plan and to modify behavior leading to potential criminal activity. He must complete at least 18 months in the court; the judge will consider early termination of probation as allowed by law. Harris County Veterans’ Court (HCVC) – this voluntary specialty court program aims to habilitate veterans and active service members that suffer from homelessness, mental illness, mental disorders, traumatic brain injury, and/or substance use disorder due to military service, which was a contributing factor in their felony criminal offense. The program accepts first time felony offenders and/or veterans who have served in combat or under hazardous conditions. The program excludes any offenders with a current charge or previous conviction for a violent crime (other than aggravated assault), sexual assault or delivery of a controlled substance. Those admitted to the court will receive pre-trial intervention, deferred adjudication or community supervision, and it will take a minimum of 18 months to complete the program followed by a 6 month aftercare phase. STAR Drug Court Program – The STAR (Success Through Addiction Recovery) program treats non-violent, repeat drug offenders and consists of a three-phase intensive, highly structured treatment program, followed by a 12-month aftercare program. During all phases, participants attend 12-step programs or an approved alternative, participate in group and individual treatment and counseling programs, submit to frequent random drug testing and appear frequently before their judge. 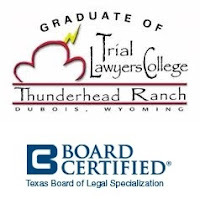 Graduates have their cases disposed of on a case-by-case basis by the STAR program judges. Even if you are a first time offender, Texas punishment is harsh on offenders. The good news is that in Harris County and many other counties you have several options available. If you are charged with a first time criminal offense in the Greater Houston area including Harris County, Montgomery County, Fort Bend County, Waller County, Brazoria County or any of the surrounding areas, call James G. Sullivan and Associates today at (281) 546-6428.